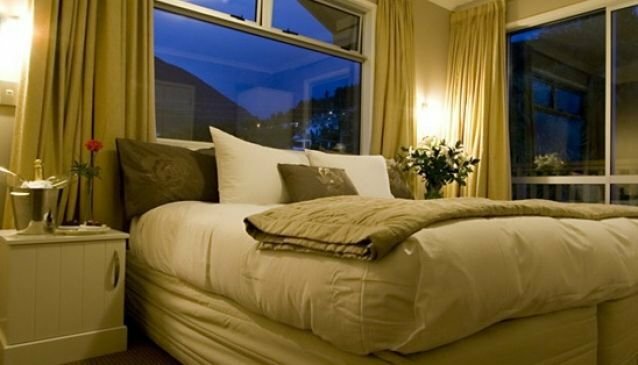 Chalet Queenstown offers superior Bed & Breakfast accommodation, amongst the best in New Zealand. The property features 7 stylish contemporary ensuite guest rooms with blissfully comfortable King or Twin beds, flat screen TV, tea & coffee making facilities, hairdryer, alarm clock/radio. Wireless Internet Access. Stunning Lake/Mountain views from balconies. Central Queenstown location just a short stroll away from Queenstown's vibrant town centre with its internationally acclaimed restaurants, bars, cafes and shops.